Holodeck is bad for your life? The subject of the "virtual reality " is very much a part of a controversy in the various series of "Star Trek " over the years .In the original series at the 60s it appeared as a incredibly dangerous and destructive idea , In the 80s and the 90s on the other hand it appeared in the form of the Holodeck as harmless fun. I propose that those changes in perspective about this subject also reflect a very clear changes in the perspective of the culture that product Star-Trek . One of the most prominent features of all the later Star Trek series that differentiates them from the original series dating from the 60s is the “Holodeck” machine. This machine enables a crewmember of either a space ship or a space station to create a perfect-looking artificial environment according to his desire. It can reconstruct any historical period: the ‘Wild West’, the 30s in Chicago, the decade of the 50s in Las Vegas, etc. There are no limits to its power except for the user’s own imagination or else the fear that the “holodeck” machine can suffer one of its endless malfunctions which might imprison the user or cause the simulated characters to develop a consciousness of their own and thus discover they are not real after all. In the original series made during the 60s such technology was yet unavailable, although the producer, Gene Roddenberry did, in fact, think about this idea at that time. He planned to include such a machine within the “entertainment’ hall of the crew; a plan that was not realized for lack of funds. 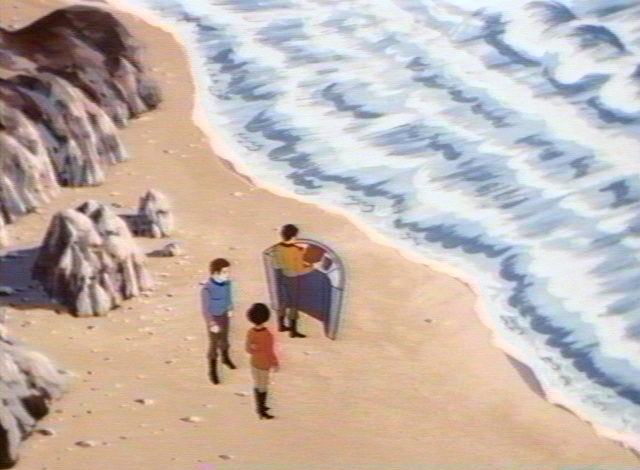 Nevertheless, in the 70s, in the animated series of Star Trek where the budget did not present a problem (except for achieving a satisfactory level of animation), a technology which resembles the “Holodeck”, is shown in the section called “Practical Joker”. There an alien intelligence exerts controls over the computer of the “Enterprise” and causes disturbances in the activity of various departments on the spaceship, one of which is the “entertainment Hall”. It is there that we find certain crewmembers that for the first (and last) time experience being in a virtual environment of the kind characters of the next generation so often enjoy. The computer disrupts this activity as in many plots of the next generation of “Voyager” and “Deep Space 9”.. However this is unusual and does not represent the situation of the "old Generation" in general. Don’t treat it too lightly, since the non-use of virtual reality is an indication of significant philosophical and cultural differences between the creative generation of the original series and that of the “Next Generation”. 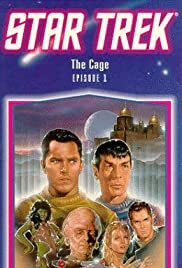 Virtual reality was portrayed as existing in the first pilot episode of Star Trek, “The Cage”, which was produced in 1964 with a different crew than the one we are familiar with, except for Mr. Spock. For those who do not remember it: the plot is about the arrival of the “Enterprise” crew, headed by Captain Pike and his female second-in-command (“No. 1”) to the planet Talus 4. There it becomes clear that its natives have a technology exactly like that of the “Holodeck” we know. They capture the Captain and force him to live through various virtual realities that cannot be differentiated from our “real” one while they try to break his psyche and “tame” him so that he will live happily with a local woman. The Captain, however, proves to be invincible and succeeds finally to free himself. We find out later on that the Talusians once had a highly developed culture. They had had space flight and had explored the stars, but after they discovered their technology of “illusions” they preferred to dwell more and more within the illusory worlds they created until their culture had completely deteriorated. They even forgot how to manipulate the complex machines of past ages and are now facing extinction. 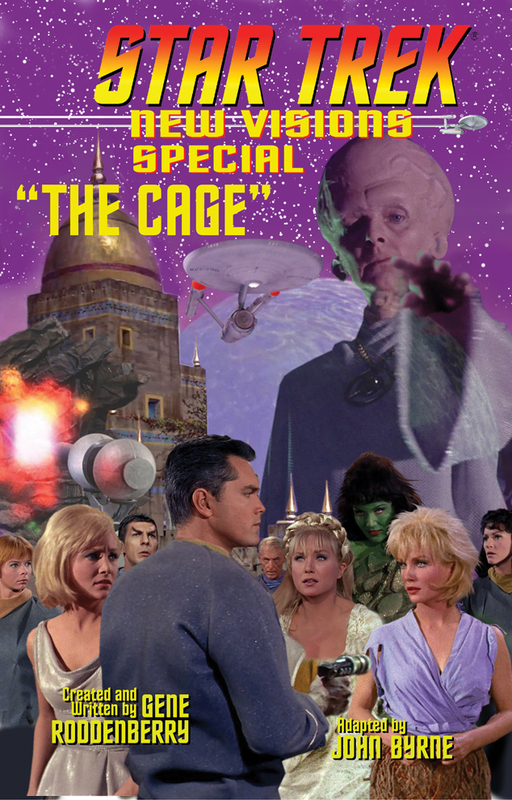 Captain Pike leaves this planet, shocked by the fate of the Talusians who let this strange technology control them. 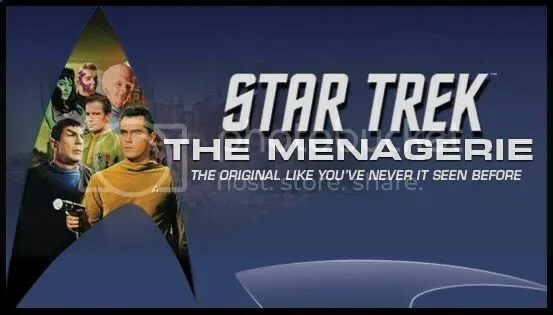 This pilot episode was redone as a story with the “usual” Star Trek crew in the episode called “The Menagerie”, in which the story is acted out within the plot of Captain Pike’s kidnapping. He is shown as a mute and crippled individual aided by Spock who helps to bring him back to Talus 4. This planet is portrayed as the only world in the whole universe such that a flight to it is punished by a death penalty issued by the Federation! Nevertheless, Spock breaks the rules and brings Pike back to Talus 4 so he can live an illusory life that would be better than his present miserable life. One can ask why had the Federation decided to inflict such a Draconian punishment on a flight to Talus 4? What kind of harsh calamity can happen if people would visit this dying culture? The answer to it is not given literally in this episode but it is self-understood. It is the fear of the Federation that people (and the races represented in the Federation) will learn the Talusian technology of virtual reality and they might sink in it, as happened to the Talusians, and finally deteriorate. Something of the sort is said by the Talusian representative to Captain Kirk at the end of this episode, when he tells Kirk that Pike lives his own life (a totally illusory life with a beautiful girl who in reality is the illusory life of an ugly old woman). Kirk, however, enjoys a real life of unceasing activity, which is a better life. The message is clear: better to live a real and active life, even if not so pleasant, that includes continuous development, instead of a perfect, ideal life that is based upon illusion and leads only to deterioration and decline. It is possible to state that this message constituted one of the main issues of the original series. 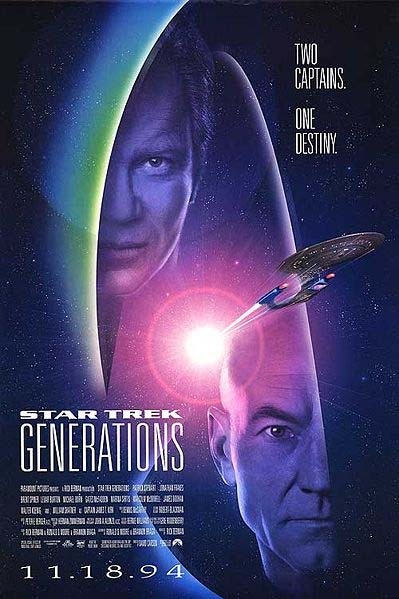 For this reason I, for my part, consider the fate of Captain Kirk in the the seventh movie Generations especially tragic, since he was compelled to parallel the fate of Captain Pike and live for decades in the “Paradise” of the “Nexus” that is all illusion. Some would say that it was just a fitting ending for Kirk’s brilliant career, but I found it to be sick and frustrating. This ending stands in complete contradiction to Captain Kirk’s own philosophy, as repeatedly expressed throughout the original series, that doing and creating is better than a lazy existence, even when one is both happy and rich. The producers and scriptwriters were probably unaware of this and in fact such a fate reflects the drastic change that occurred in this series in regard to the use of virtual reality and illusion. 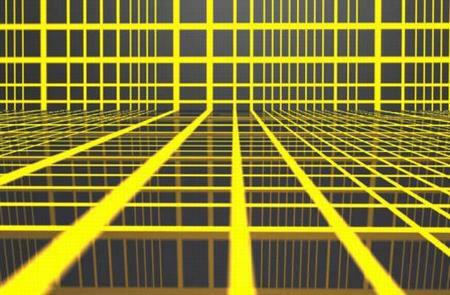 A Holodeck is a Good Thing. Seemingly the Federation in general underwent a drastic ideological change in this respect, since how can we otherwise explain the fact that in the period of the “next generation” every space ship and space station possesses a “Holodeck”? The Holodeck is in fact the same technology the Talusians used and that the Federation feared to such an extent that it proclaimed that anyone who uses it would be put to death. This measure was taken to deter people from learning its secrets, but now the same Federation allows it and actually makes this technique available to all. (This decision does not make sense considering the fact that they already know the dangers due to the numerous malfunctions that occur in Holodecks every other episode. Therefore these machines had to have been dismantled long ago as too dangerous for use).
. This is exactly what has happened in Talus 4. It is reasonable to suppose that these changes in the series reflect the changes in the “real world” that created Star Trek. The decade of the 60s, when the original series was produced, was an extremely active one during which men developed space flight and reached the Moon. The culture of the Hippies, who preferred to live under the influence of drugs instead of experiencing an active and adventurous life, was not appreciated at that time. The decades of the 80s and the 90s, however, are those in which computer games flourished, as well as the Internet and virtual reality. More and more people prefer to stay home by their computer and the wonderful world it offers rather than set out and face a hostile world. While investments in the space program dwindle together with public interest therein and at the same time investments and interest in the computer industry and Internet are progressively growing stronger, the new Star Trek series naturally reflect this change in perspective. I cannot but wonder : whether the Federation was right in trying to prohibit the use of the Talusian technology that produces virtual reality (even threatening death to those who go to Talus), because it dreaded future consequences? . 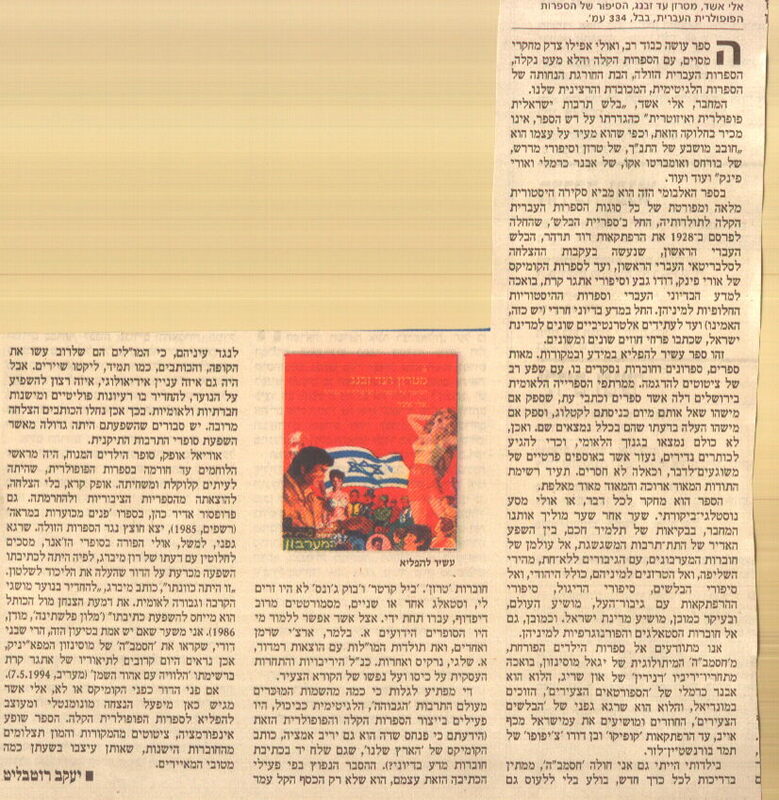 « עשרים שנות "סייבר-קוזן "